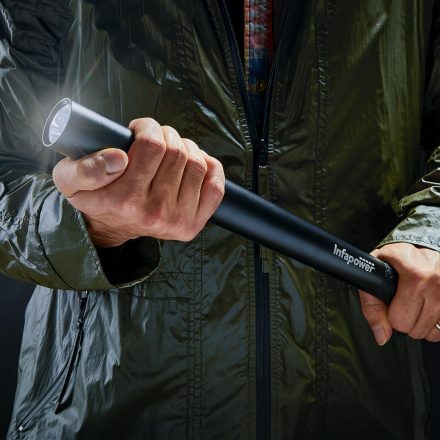 For when a Maglight just isn’t enough to fulfill your combination flashlight/blunt instrument needs, you can reach for InfaPower’s Security Torch 2.0. 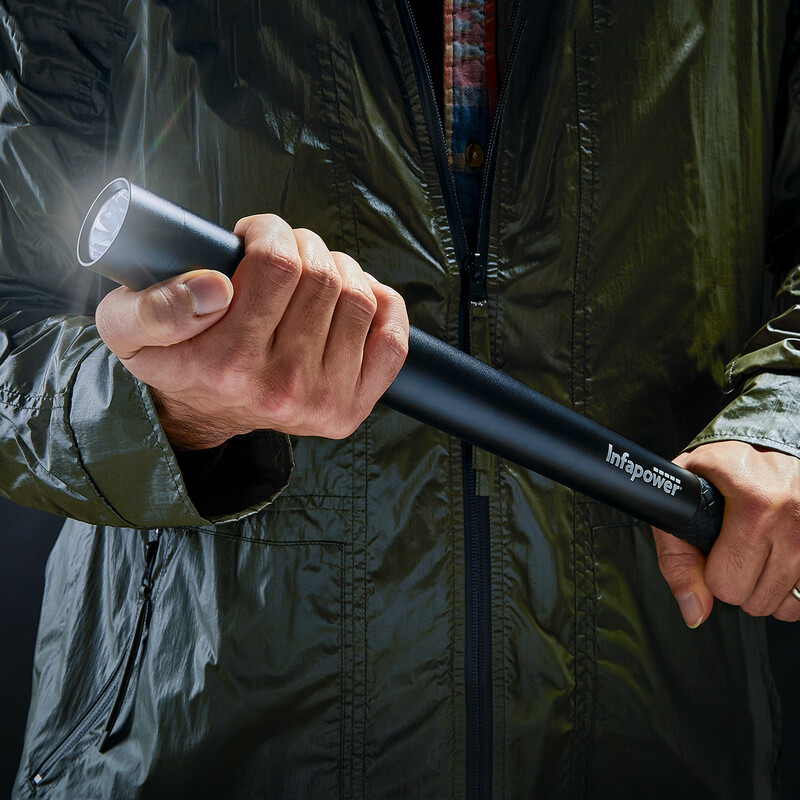 Made of aluminum with a black anodized finish, the Security Torch 2.0 weighs around 1 lbs. without batteries, and is both weatherproof and anti-shock up to 1.5 meters. It features a 3 watt CREE LED bulb, with a max output of 170 lumens, and 5 five functions: 100% output, 50% output, 30% output, strobe, and SOS. The Security Torch 2.0 is powered by 3 AAA batteries. Visit Facebook and Twitter to learn more about Sightmark® products. EAGLEVILLE, PA, February 9, 2018 – Streamlight® Inc., a leading provider of high-performance lighting, introduced the Dualie Waypoint®, a high performance spot and area light that allows for individual or simultaneous use of a forward-facing spot beam for distance and a bottom-facing flood light. 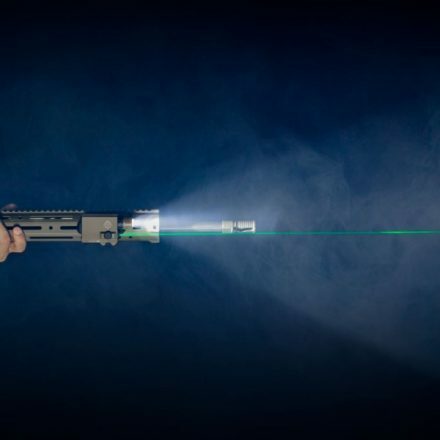 The alkaline battery-powered light, which delivers up to 750 lumens, combines the best of two popular Streamlight products – the Dualie® dual-function LED flashlight and the Waypoint® pistol-grip searchlight. First responders, industrial professionals, and outdoor enthusiasts alike will appreciate the Dualie Waypoint’s flexible options, whether using it for illuminating low-lit pathways or performing close-up tasks. And combining both the spot and flood beams can help users to see what is ahead and around them so they can avoid slips, trips and falls. Featuring an ergonomic handle, the Dualie Waypoint hooks over doors, pipes, bars, cables, or ladder rungs for hands-free operation and its innovative D ring and kickstand allow for every lighting need. Because the light is sealed and floats, it even can be used for wet applications. Offering high, medium, and low intensity modes, the new light uses the latest in LED technology and 4 “C” alkaline batteries (not included) to deliver both extreme brightness and long run times. 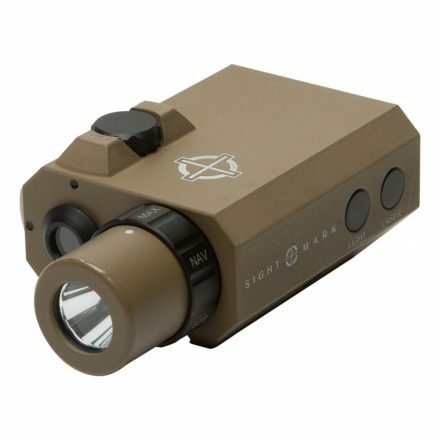 On high, the front light delivers 750 lumens, 72,000 candela, and a 535-meter beam distance; the bottom-facing light offers 450 lumens, 240 candela, and 31 meters of beam distance. 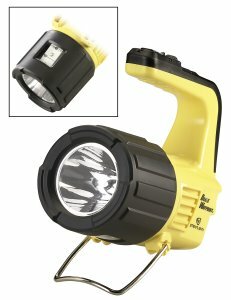 With the front and bottom lights combined, the Dualie Waypoint provides 750 lumens. Run times for the light range from 3-55 hours when the two beams are combined to 3.5- 125 and 5.75-170 hours for the front and bottom lights, respectively. The Dualie Waypoint features a push-button switch with momentary and click-on operation. The rotary switch behind the button selects the main (front) beam, bottom (area) light, or both for a combination of distance and pathway lighting in one setting. The new light features a high-impact polycarbonate casing, an unbreakable polycarbonate lens, a rubberized lens cover, and is O-ring sealed. The light measures 6.75 inches long and 6.5 inches high; it weighs 2.06 pounds with batteries. The Dualie Waypoint is IPX7-rated, and is impact-resistant tested to 2 meters. The Dualie Waypoint has an MSRP of $95.00 and a yellow and black design. The light comes with Streamlight’s Limited Lifetime Warranty.